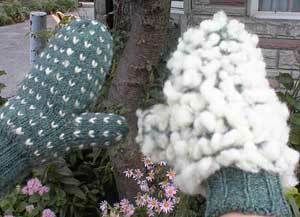 Perfect for dog walking, keep your fingers warm/toasty - keep the winter winds out. Learn this wonderful technique called thrumming. We teach you how to make a thrum, several techniques for knitting in your thrums and general discussion. Felted Clog slipper class - join in the FUN! !